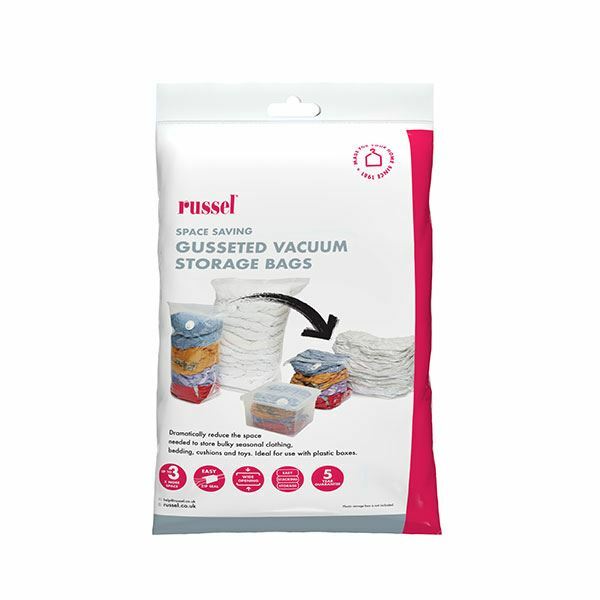 These space saving vacuum storage bags will dramatically reduce the space needed by up to 3 times, allowing you to store duvets, pillows and bedding as well as your seasonal clothing. The wide opening makes filling easy and the secure seal protects all contents from dust, mites and moisture. Heat sealed 1cm wide seams. Reinforced corners on the gusseted bag. Quantity discount when you purchase 10 or more of the same sized item. Really easy to use..but do read the instructions.